Should You Get Your Insulation Removed? 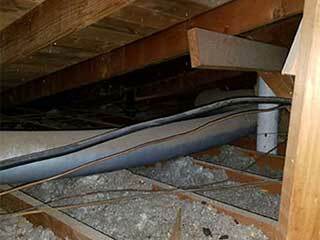 All kinds of things can cause the insulation in your attic to break down, and be unable to function as well as before. This can cause your energy bill to rise thanks to more heat escaping, and your home struggling to keep a stable temperature. Even worse, particles of it may be getting into the air of your home. This will be breathed in by you and your family, which is bad for the elderly, children, and those with breathing issues. If you have experienced water damage, not only will your insulation be harmed, but mold can grow. This may also get into your home’s air, and be a health risk. Fire, or even just smoke, can also impair its ability to do its job well. Have you had unwelcome visitors in the attic? Even if the pests have moved on, their digging and biting into the insulation has likely taken its toll. Waste from these creatures could have easily infected the material, which can then get into your house. Don’t Worry! We Can Help. Using the finest tools, our experts will be able to remove the old insulation far more safely than inexperienced people can. This is extremely important, otherwise trying to take it out can cause pieces to enter into your home, and be even more of a health hazard. Our team has been working for years on houses just like yours, so you can trust that we’ll get the work done carefully and efficiently. Using suction, we’ll be sure to get every bit of the deteriorated insulation out of your attic, and dispose of it. Even better, we can also install new insulation while we’re at it. This way, you won’t have to bother with finding another company to do it for you. Call Attic Cleaning Los Angeles now and ensure that your home is safer, along with cutting those energy costs. You’ll be glad you did!